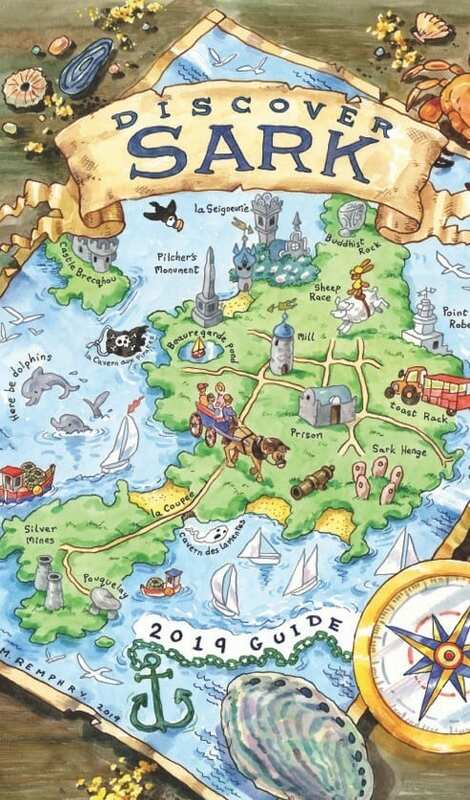 The paper version of the Discover Sark 2019 guide is now available from Sark Visitor Centre. If you have checked out the online version already, you will have noticed that the cover was designed by Sark’s very own Martin Remphry. 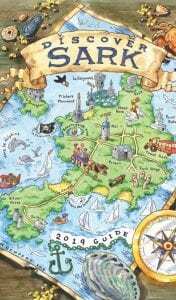 It’s a colourful and animated depiction of the Sark Map playing on the theme of discovering Sark and some of the quintessential elements of Sark.